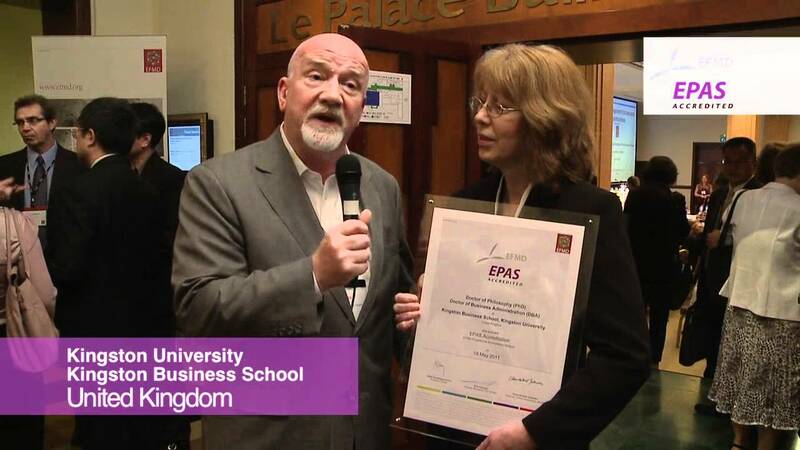 EPAS accreditation is the most thorough programme accreditation system for business and/or management programmes. It is acknowledged worldwide by potential students, employers, clients and the media. EPAS covers all facets of programme provision: from its institutional, national and international environment, through its design, delivery, outcomes and impacts, to its quality assurance processes. EPAS particularly emphasises academic rigour, practical relevance, internationalisation, and ethics and sustainability. EPAS covers the full range of academic programmes offered by your institution, from Bachelor's level to Doctoral studies. EPAS assesses stand-alone programmes, programme suites or joint programmes. EPAS helps you strive for excellence in an on-going improvement process following each accreditation or re-accreditation visit. "We consider the achievement of EPAS accreditation not only as an acknowledgement of our teaching and learning excellence, but also as a statement of our commitment to ongoing improvement." EPAS provides you with international market recognition of a high-quality programme as well as a significant point of distinction in the increasingly competitive business education landscape. You can take advantage of international comparisons and benchmarking through the process of review by an international peer review team. EPAS offers you strategic guidance for quality improvement and future development of your programme(s). The EPAS process can also be used as a stepping stone towards EQUIS accreditation for the school as a whole. Being accredited makes you part of a vibrant international community of mutual learning and sharing good practice with institutions from different higher education systems. The EPAS process is based upon a conceptual framework of quality criteria which are reviewed continuously by an international committee of EFMD members. The EPAS accreditation framework is an input-output model moving from programme design to programme delivery to programme outcomes. The framework also considers the wider institutional and environmental contexts, together with the institutional and programme quality assurance processes. Three transversal pillars feature in the EPAS assessment system: internationalisation, a corporate perspective, and ethics, responsibility, sustainability (ERS). 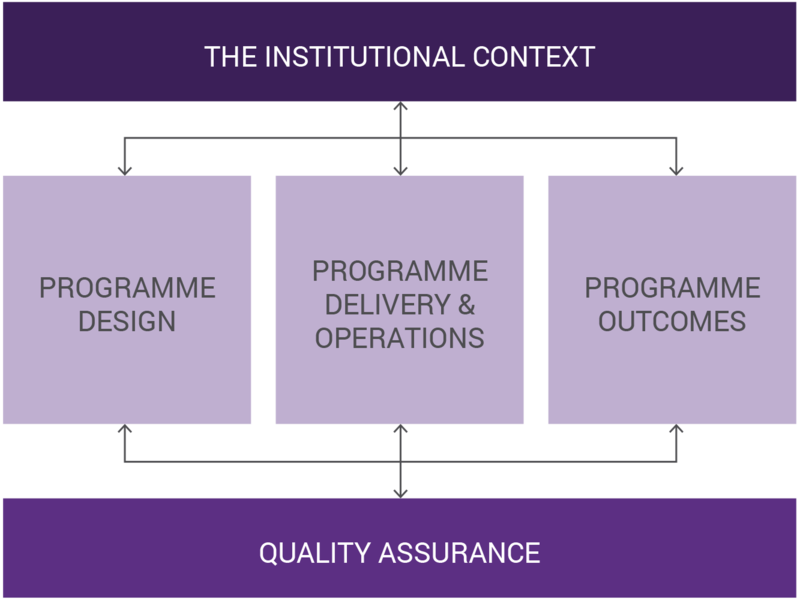 The Institutional Context reviews the extent to which the programme is an integral part of the institution's strategy and therefore the extent to which it is supported by the its various stakeholders, with the resources necessary for its successful delivery. There should also be a clear commitment to internationalisation, corporate needs and ERS. Programme Outcomes are concerned with evaluating the quality of student outputs in terms of assessed work during the programme itself, and also career paths following graduation, together with the programme's reputation and standing overall. Programme Design covers an assessment of the likely market for this area of study and clear objectives should be specified for the programme, linked to market needs. The programme design should also specify target students' entry and exit profiles, Intended Learning Outcomes (ILOs), programme rationale and assessment regime. The programme should have effective and robust Quality Assurance processes which should cover design and review, including approvals, monitoring of teaching quality, and rigour of the assessment processes The QA processes should be inclusive of all key stakeholder perspectives. The programme should specify the student entry criteria which should lead to an appropriate quality of student intake and an international student mix. Teaching should be of high quality and of appropriate academic depth, supported by the development of personal skills, an international perspective, corporate engagement, and a broad ethics/sustainability perspective.